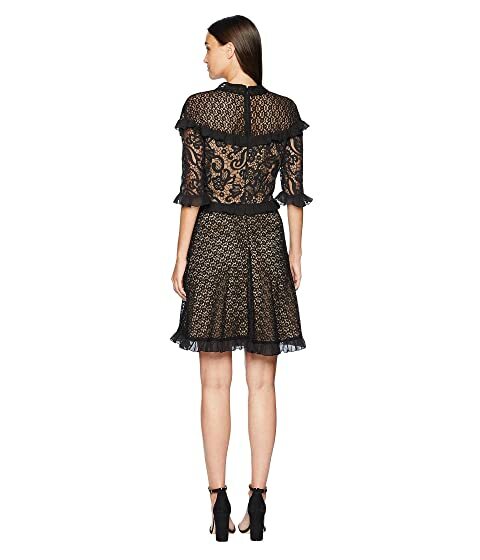 Venture into the heights of style wearing the ML Monique Lhuillier™ Short Sleeved Dress with Ruffles. Elbow sleeves with ruffle cuffs. 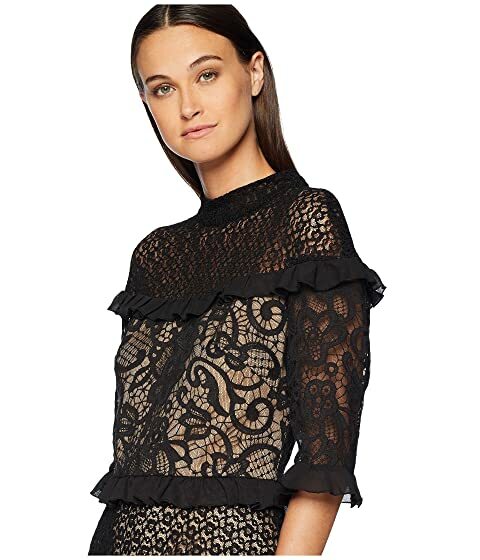 Fitted waist with ruffle detail.